Whenever I’m back in my home country Lithuania, I have to drop by a tea house! 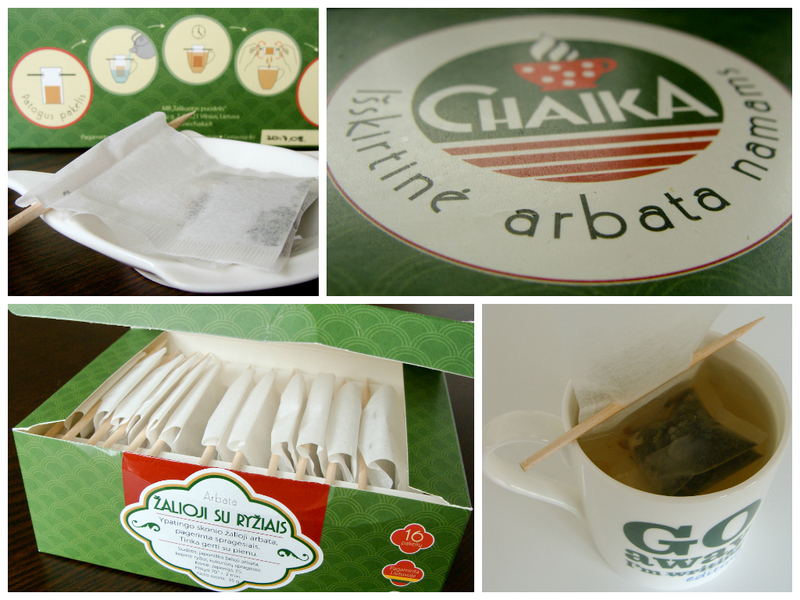 Last year I visited three very different tea places in Vilnius and this year I returned to Chaika. Born as an independent café established by two friends Ona and Adomas in summer 2013, this tea and coffee place sells their own tea blends and now a collection of originally packed loose leaf tea in bags. Small and cozy, yet lively like a bee hive, Chaika has become a crossroad for those thirsty and hungry. Both coffee and tea lovers will find what to order and I’ve found what to buy. Innovative and hand made tea bags packed in a lovely branded box cannot be missed! I’ve got genmaicha (Japanese green tea with roasted rice which goes well with milk) in paper filters combined with toothpick-like sticks. Ecological and healthy, but also an innovative way of brewing loose leaf tea. So looking for a retro style place to enjoy your cuppa and perhaps listen to some live jazz? You have come to the right spot!